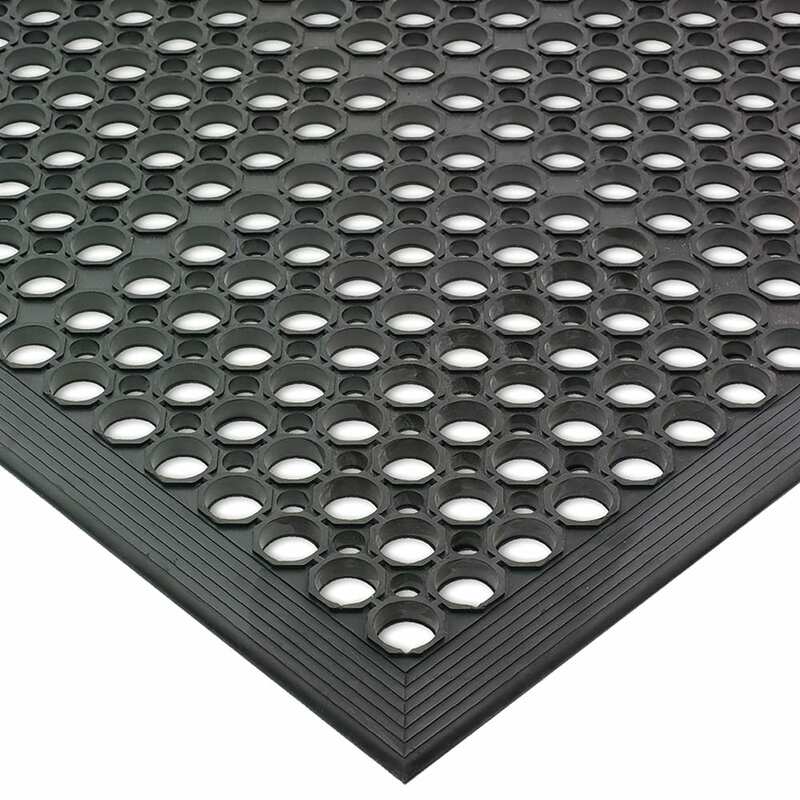 The San Jamar KM1100 EZ-Mat comes in black to hide stains and dirt while fitting into almost any theme. Carts can roll onto the mat easily since it has beveled edges. 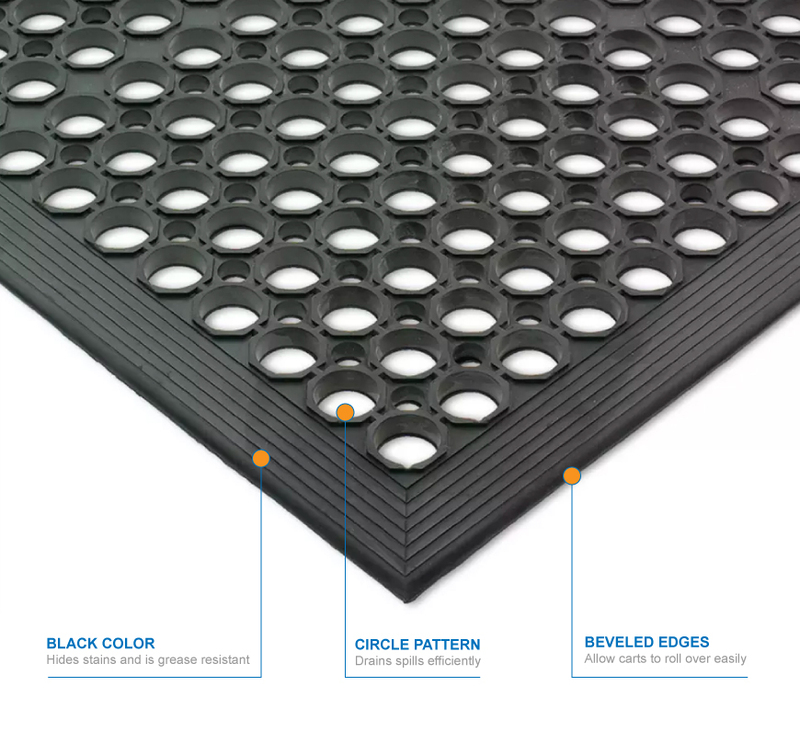 With its circular pattern, the mat drains liquids that collect on it. This mat helps reduce leg fatigue and works well in kitchen and bar areas, walk-in units, and dry storage spaces.